Julie and Tim Cozze-Young are emulating Phileas Fogg in their circumnavigation of the world, in their case the world of women’s sport. Their challenge to attend 30 sports in 30 days has not only enabled them to enjoy watching top-class athletes in action, but has brought home many of the problems facing the participants. Here is their report at the halfway point of their quest. While no offence was meant, and none taken, it showed that our 30-day initiative to attend 30 women’s sports events was novel to many. There seemed to be a general lack of understanding that watching high-performance athletes, fully committed to being the best they can be, brings huge pleasure irrespective of the athlete’s gender. 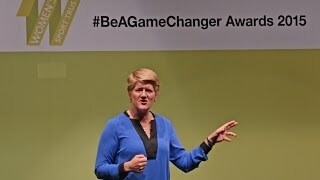 The initial idea came to us as a result of attending the Women’s Sport Trust’s BeAGameChanger Awards in May 2015, when Clare Balding made a passionate case for the need to raise the visibility and increase the impact of women’s sport, through promoting role models, increasing media coverage and improving funding. Inspired by her keynote speech and the award winners, such as Nicola Adams, Baroness Tanni Grey-Thompson and journalist Jessica Creighton, we made a public pledge committing us to our personal initiative that would help promote women’s sport and also raise funds along the way. Kicking off the 30-day challenge on August 28, we found ourselves covering more than 750 miles in that first weekend, taking in England’s hockey semi-final victory in London, wheelchair tennis with GB’s No 1 Jordanne Whiley, Manchester City Women’s win against Liverpool Ladies, GB Women’s wheelchair basketball success against Italy in Worcester and England’s defeat of Australia in the cricket in Cardiff. 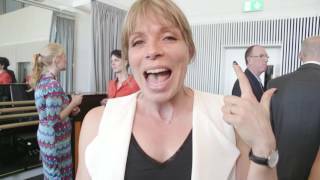 In addition to enjoying some fabulous sporting drama, we’ve been privileged to spend time talking to outstanding athletes including Jordanne Whiley (wheelchair tennis), Kelly Edwards (judo), Sam Taylor (taekwondo) and Helen Freeman (wheelchair basketball), all of whom mention one word consistently in our discussions: ‘Committed’. As in, being committed to being the best they can be; to their goals; training; team; coaches; sponsors and, consistently, to enjoying the sport. Kelly Edwards’s plight is stark: not having the funding or sponsorship support to be able to travel to the eight qualifying judo competitions for the Rio Olympics. Her current funding would enable her to attend just one. Determined as she is, Edwards had to resort to online crowd-funding activity to raise the £3,000 to compete in the African Open in Mauritius. This world-class athlete, approaching her prime, had to plead for financial backing which, in her own words, “is essential to have a realistic chance at Olympic qualification”. It was the only time in our discussion that Edwards’s steely eyed-gaze faltered. Fully committed to training, competing and being the best she can be, it was clearly an emotional drain to know that her drive to travel the globe, usually on her own, to meet and beat better-funded competitors in the search for qualifying points, may be in vain if sponsors are not forthcoming. Jordanne Whiley’s situation is similar. Her level of funding means she is unable to take her coach with her on her travels, while trying to take on the best in the world with their on-site coaching teams. Whiley’s outstanding success at the US Open Singles is a stepping stone to becoming World No 1, and typical of her whole-hearted commitment to beat the odds. Incremental funding would enable that level of achievement to be sustained. From grassroots boxing to world-class taekwondo, the opportunity exists for more businesses to take a more enlightened approach to women’s sport and invest as sponsors and supporters. It is too easy to stand back and just stick with traditional sponsorship and hospitality activities. But that merely maintains the existing imbalance. We encourage you to take a positive step forward. Make a difference. Help level the playing field by investing in women’s sport. Whether it is £20,000 to sponsor Jordanne Whiley or Kelly Edwards on their roads to Rio, or find your local sports club and become involved. Grassroots clubs need volunteers to complete much-needed grants and committed coaches to help encourage girls to continue to take part and develop. World-class athletes and clubs need more media exposure. So far, our 30-day initiative has highlighted that there are many opportunities to make a difference, but not enough people and organisations are willing to match the commitment of the athletes taking part. We are passionate believers that, regardless of gender, everyone can achieve their potential in sport and beyond, and there are so many exciting sports and world-class athletes to help in so many ways. Please do follow and share our challenge, make a contribution and show your support.